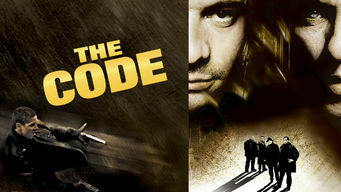 How to watch The Code (2002) on Netflix Taiwan! Sorry, The Code is not available on Taiwanese Netflix. We check Netflix hundreds of times a day, so you can check back regularly to see when it appears for streaming. We'll keep checking Netflix Taiwan for The Code, and this page will be updated with any changes. After a stint in prison, a gangster hopes to leave his life of crime behind but is drawn back in by his former cohorts, who need help with a heist.